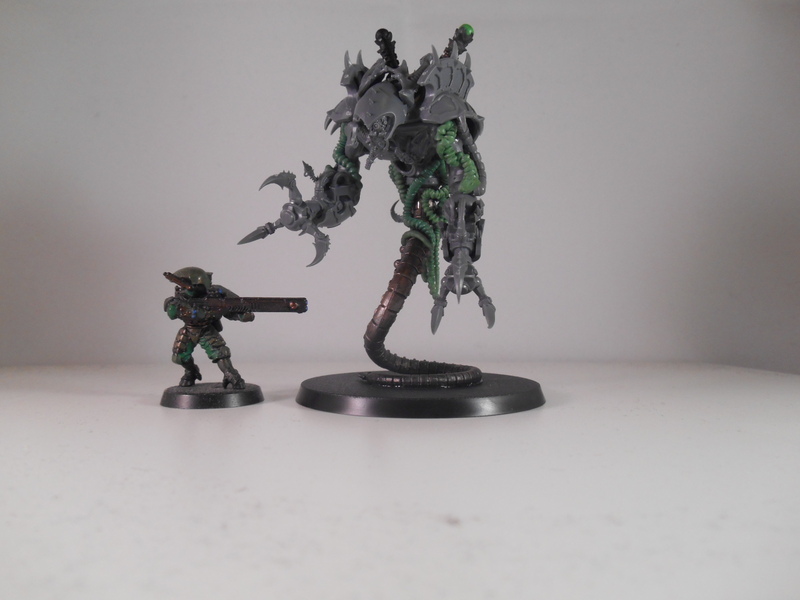 Since the first one was such a roaring success, I decided to build it a brother! 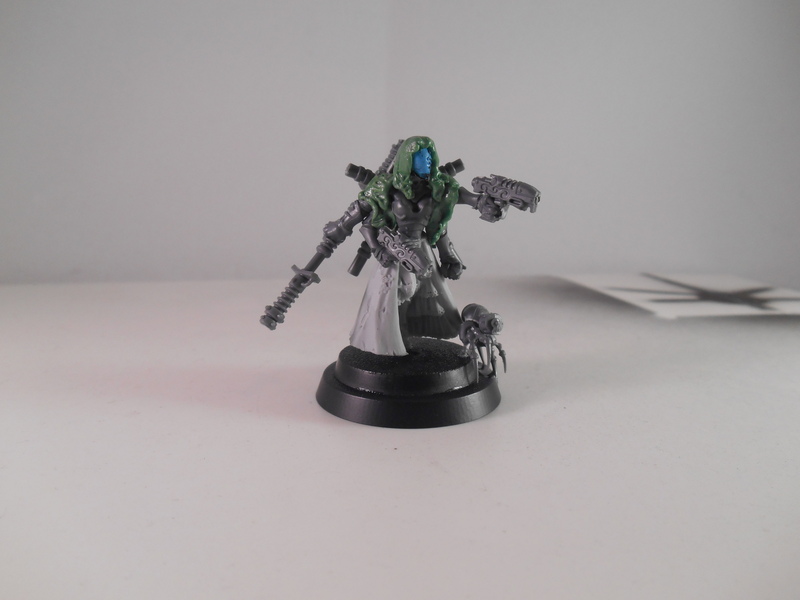 Nothing much to say on construction, it’s pretty nigh identically built. 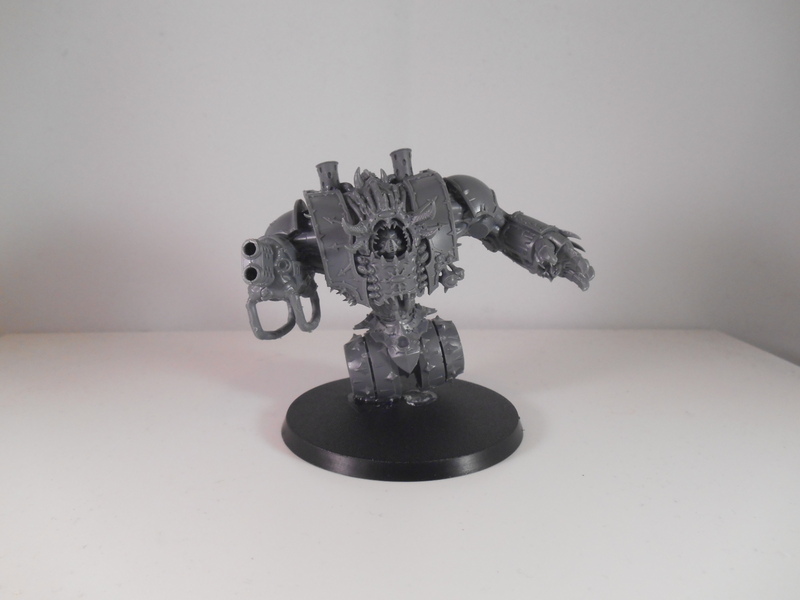 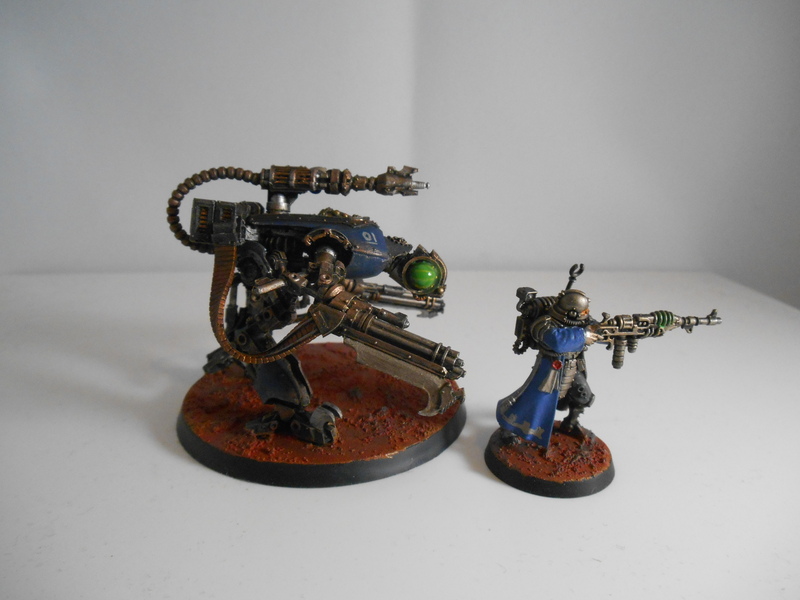 Bonus points: I get a new Deathstrike to pair with the first one! 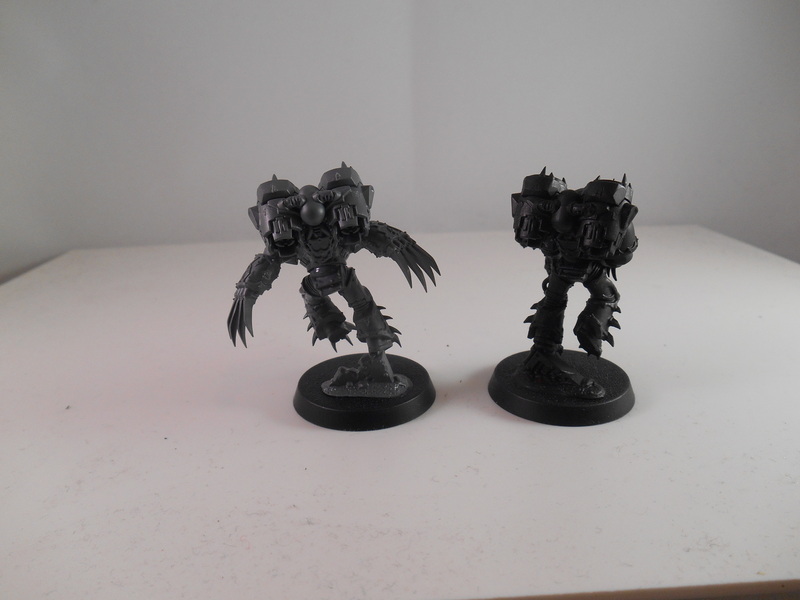 I’ll figure out what to do with two helldrakes worth of wing and head parts later. 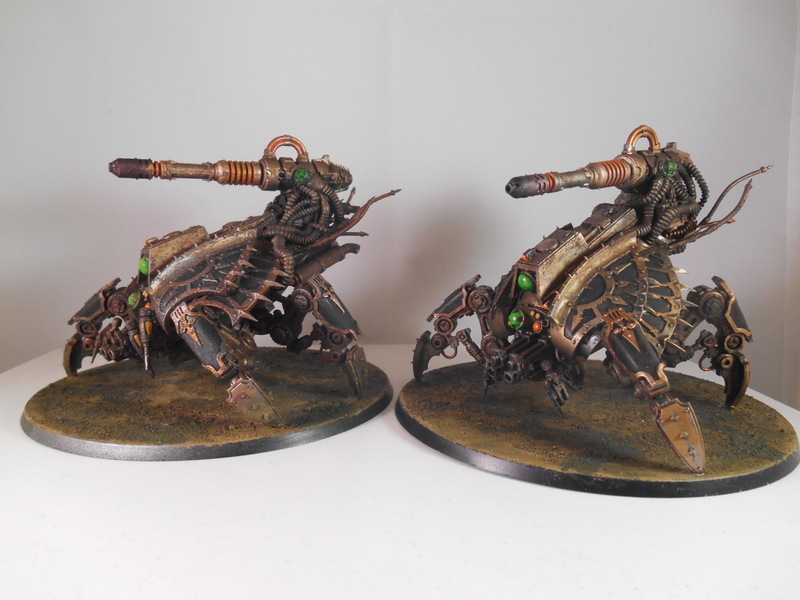 the new one is the one on the left with the silvery base rim. 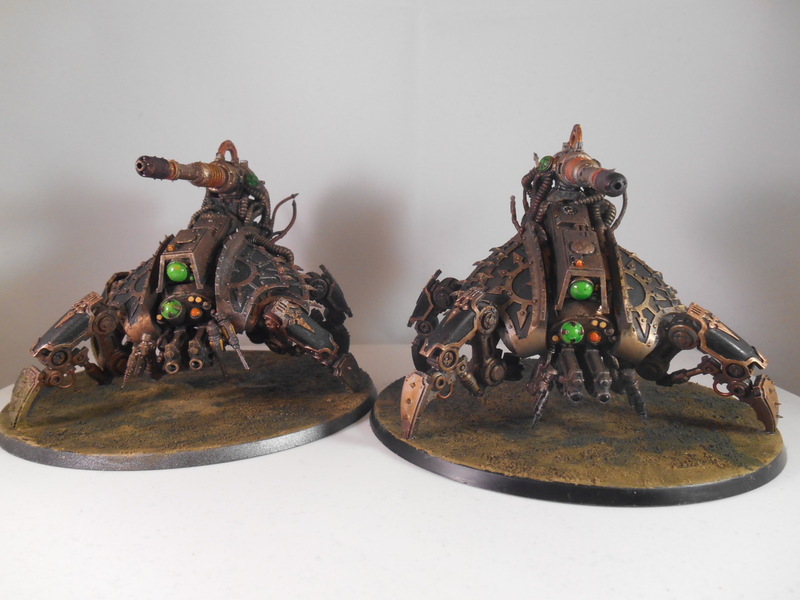 As far as painting went: I didn’t quite manage to keep the smoothness on the plates. 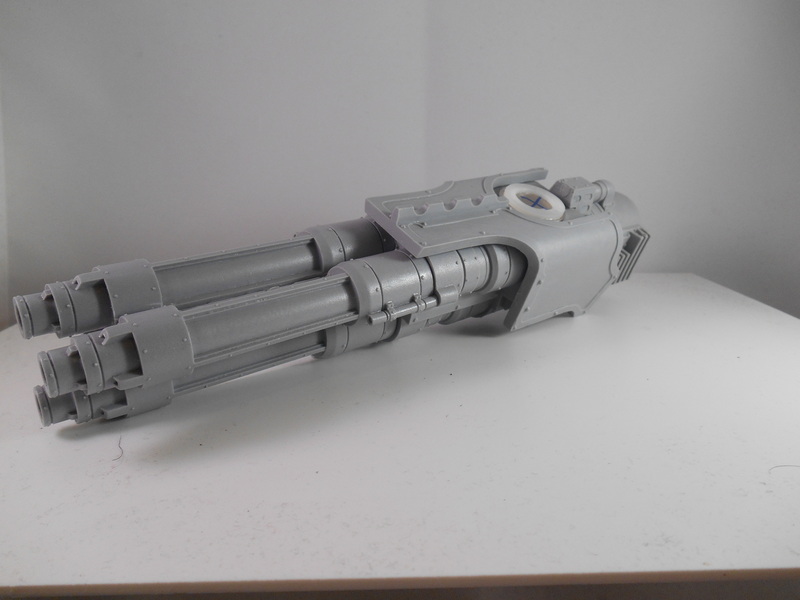 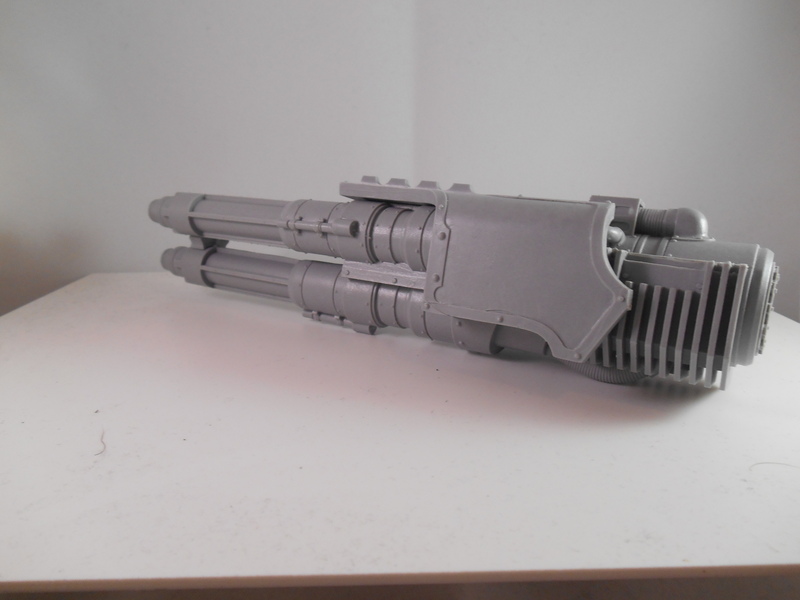 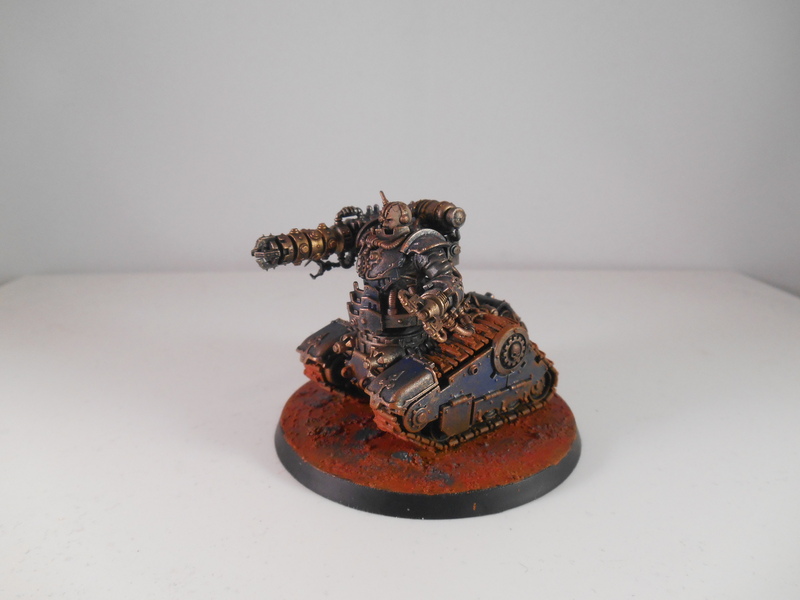 I think that was my primary mistake, the result looks like it has too much paint on it. 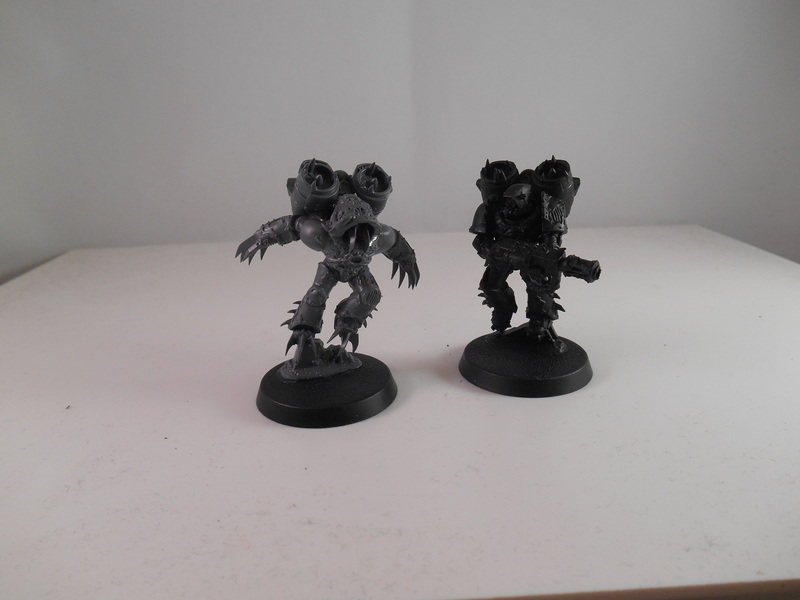 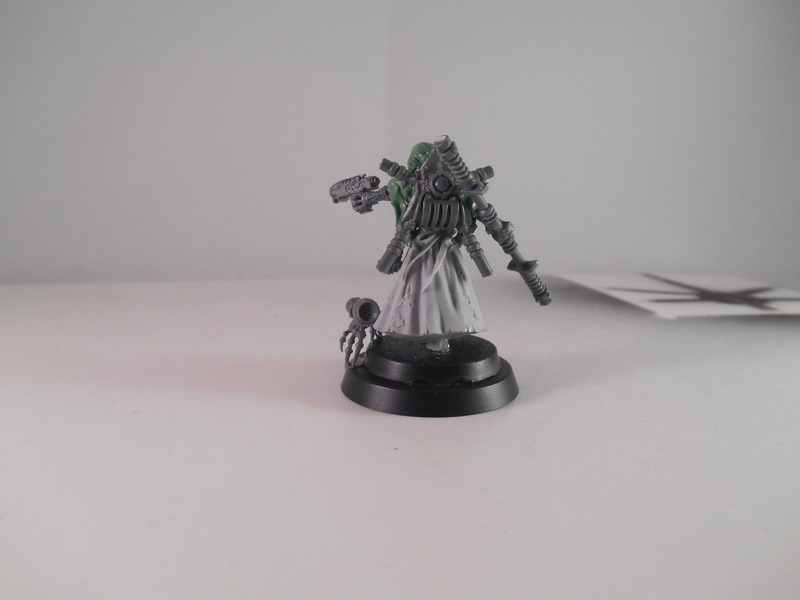 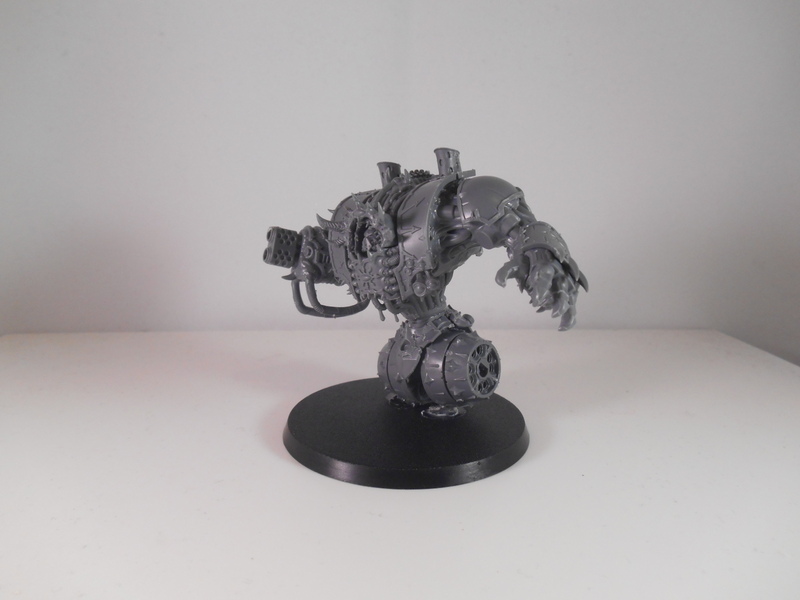 I added too much typhus corrosion to the model and it gave it a grainy effect all over. 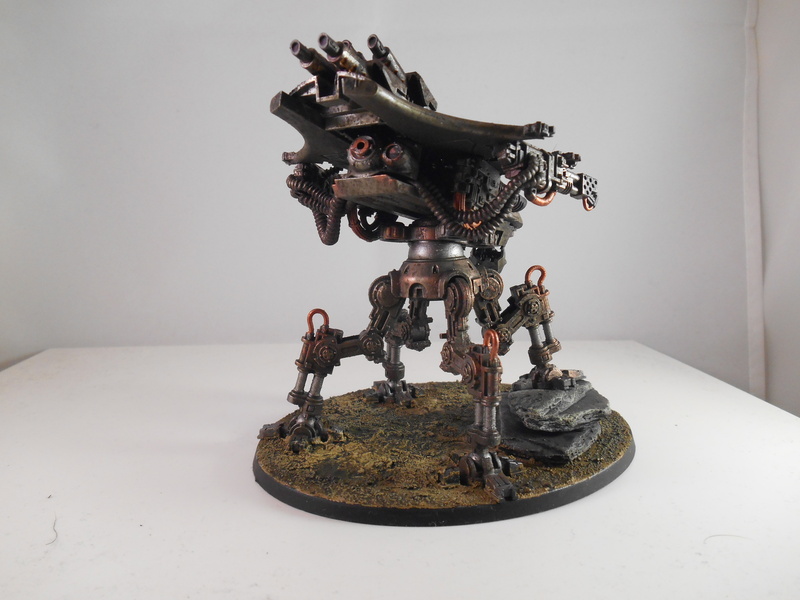 Should of just done it on the exposed workings and left the plates alone. 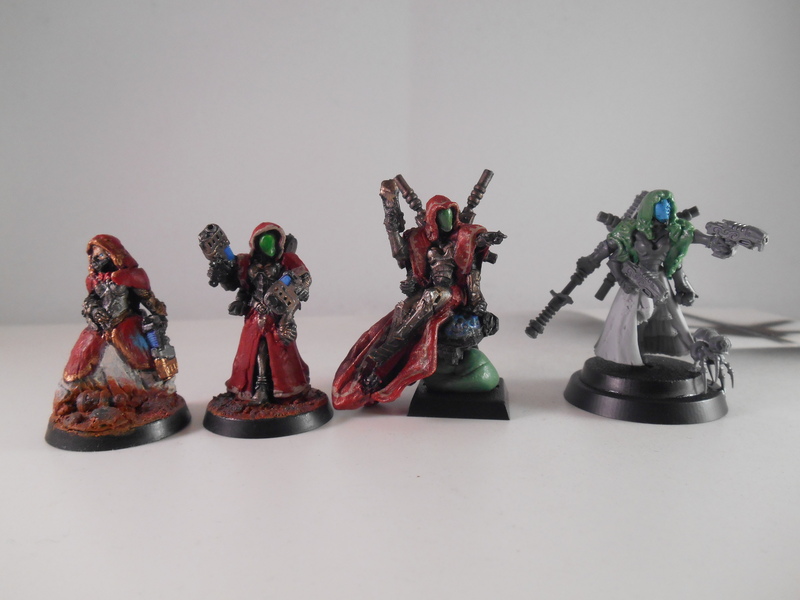 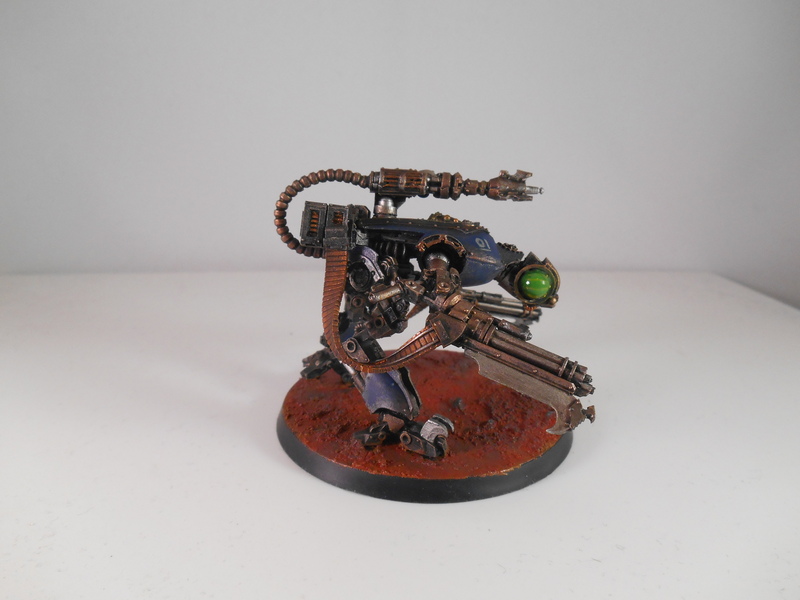 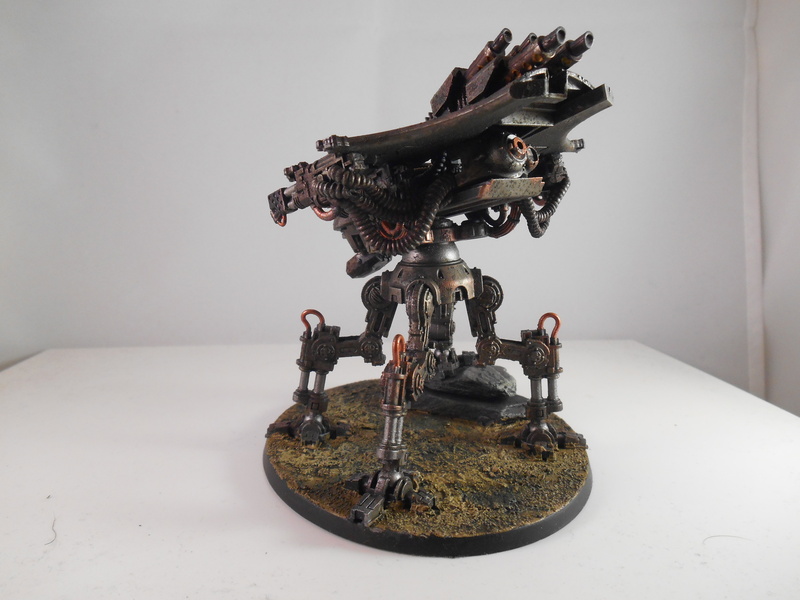 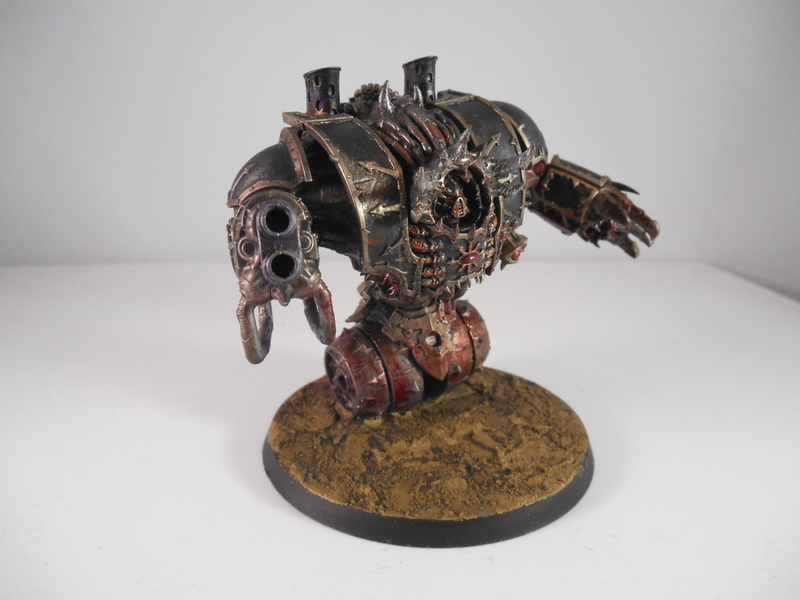 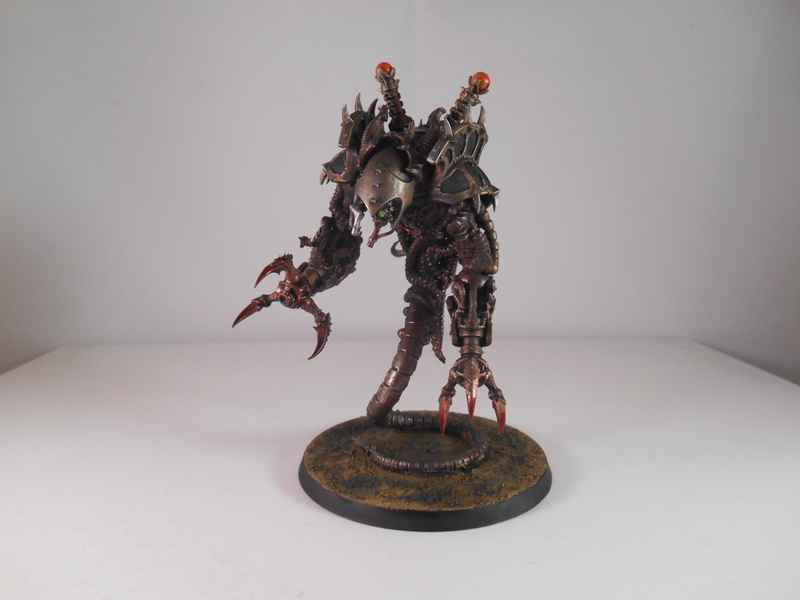 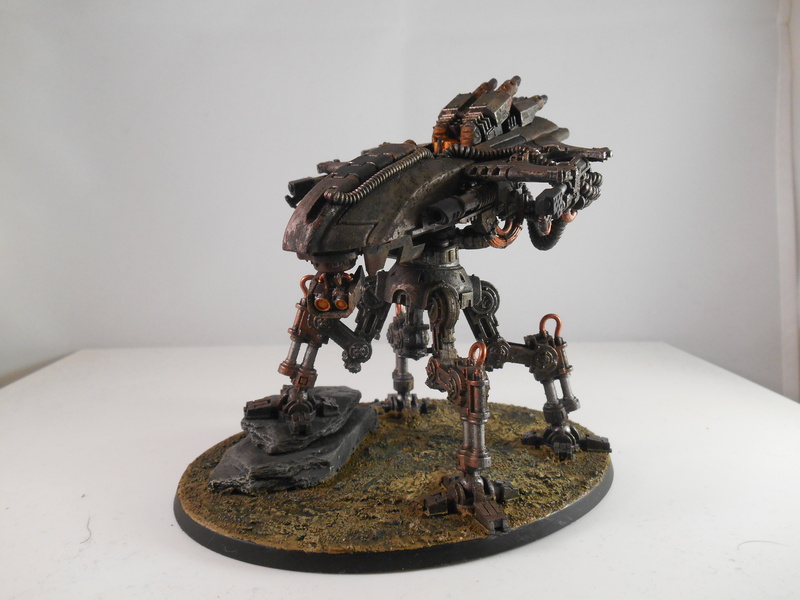 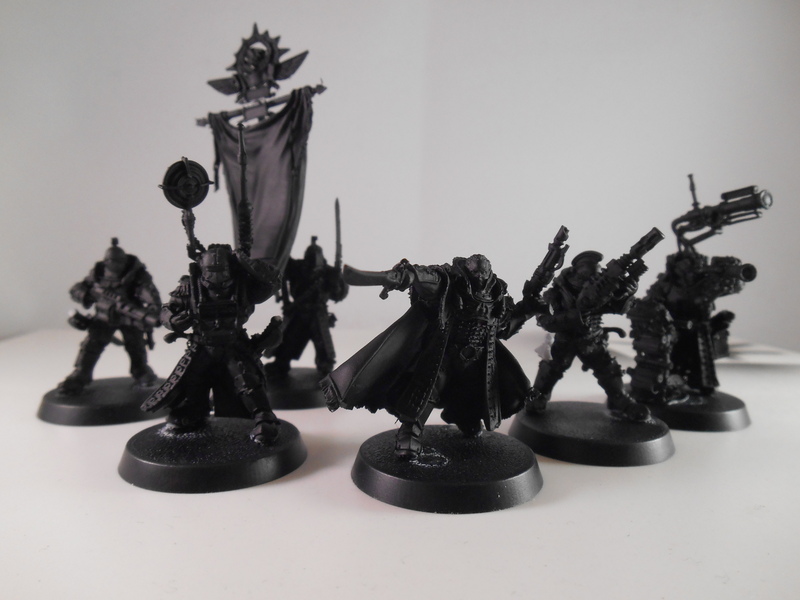 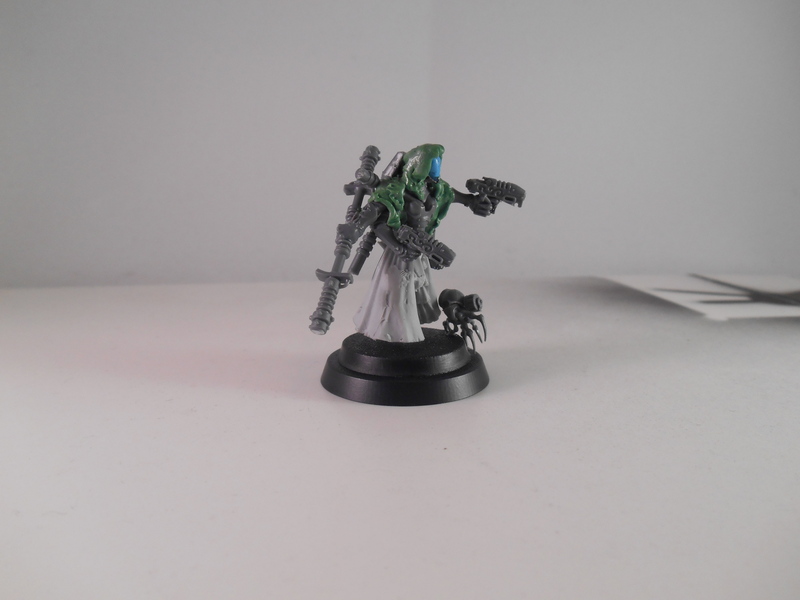 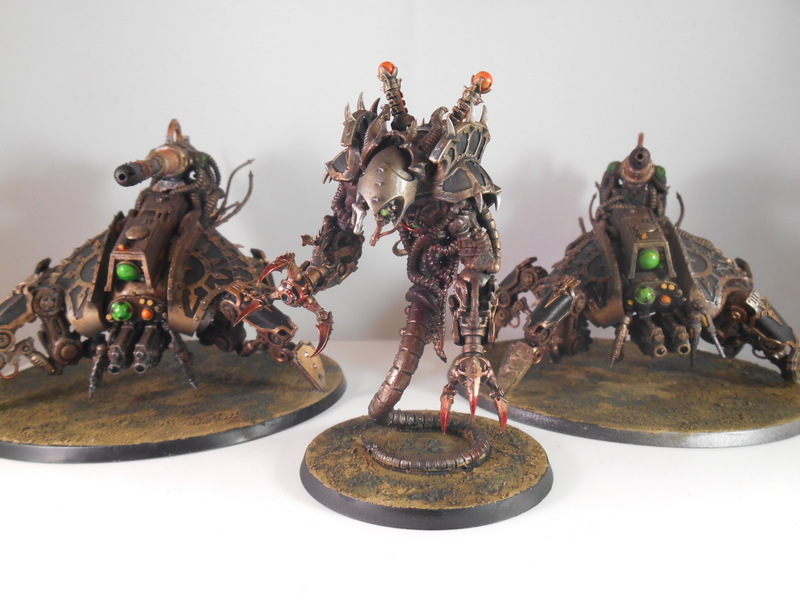 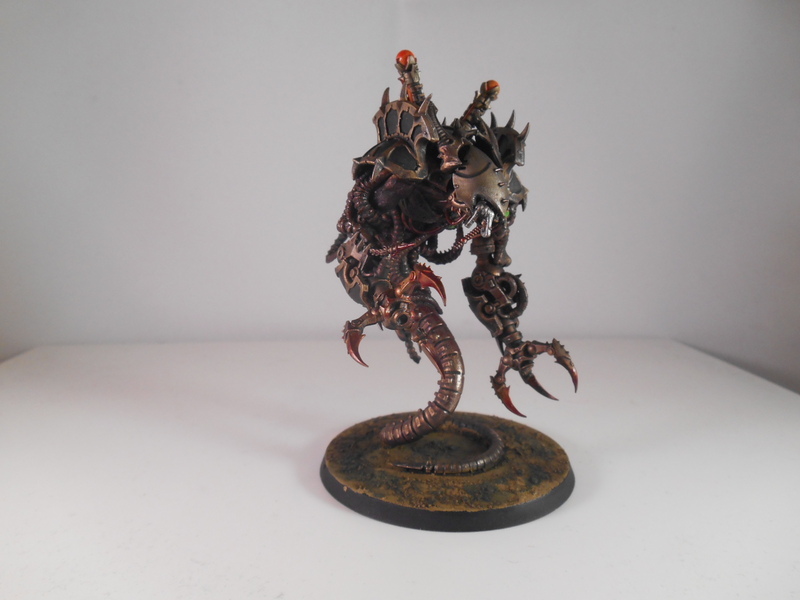 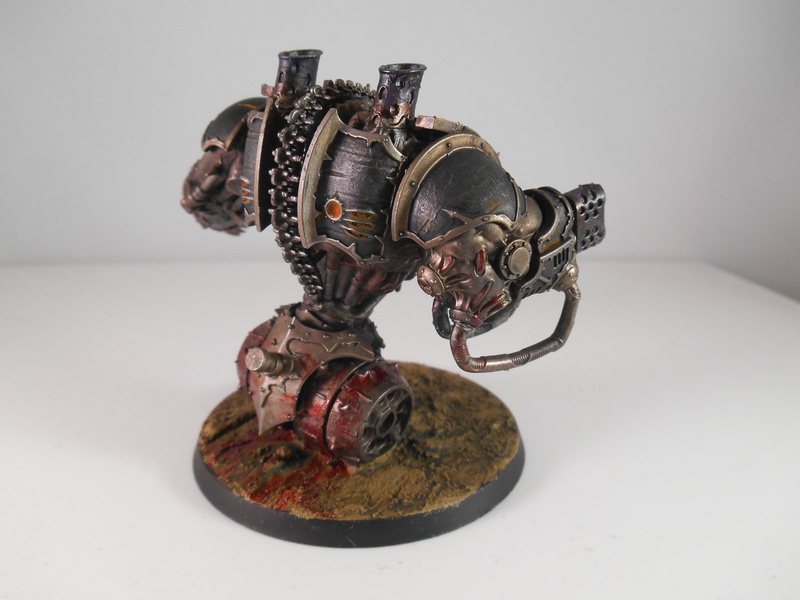 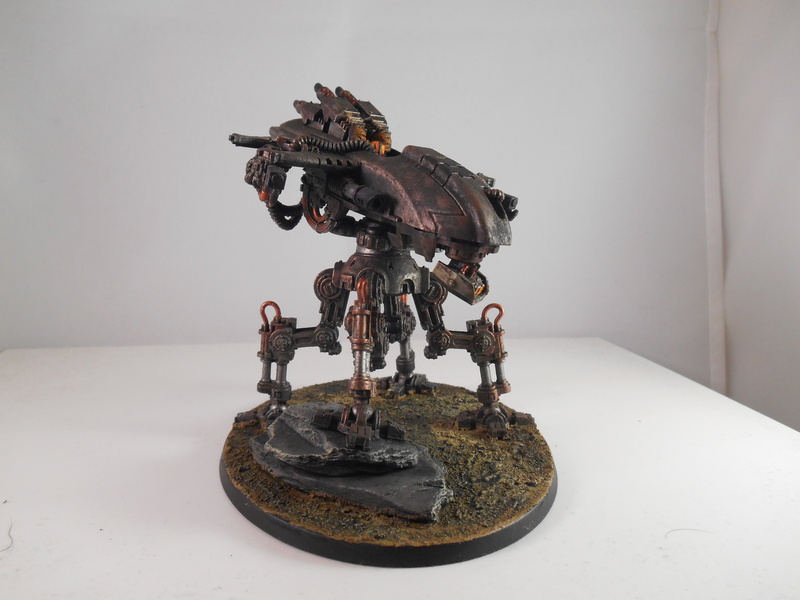 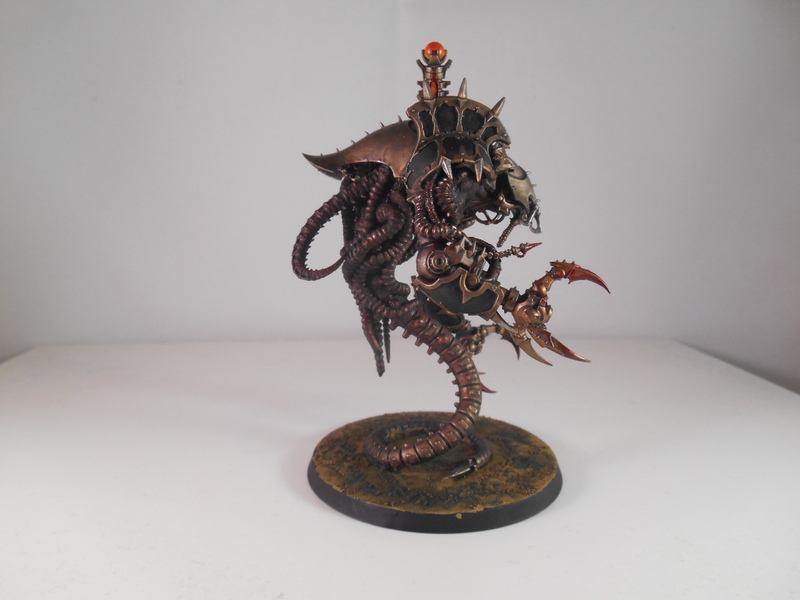 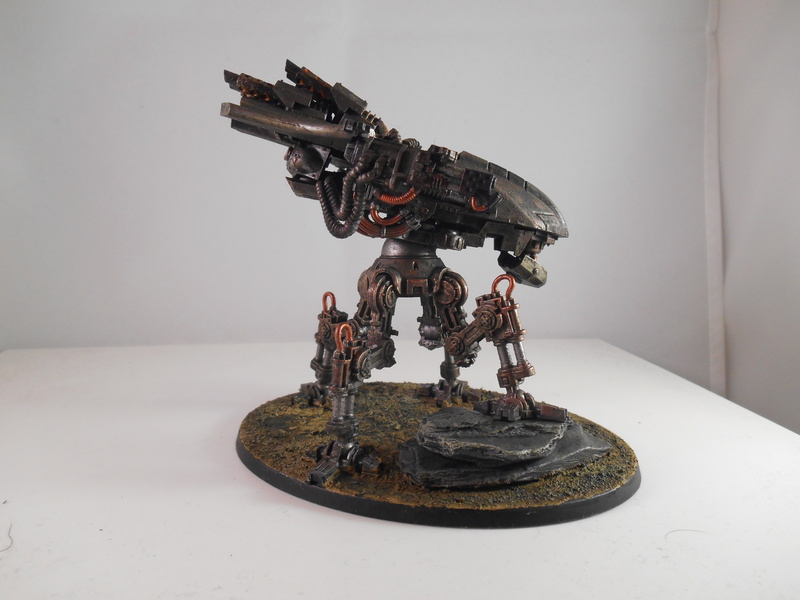 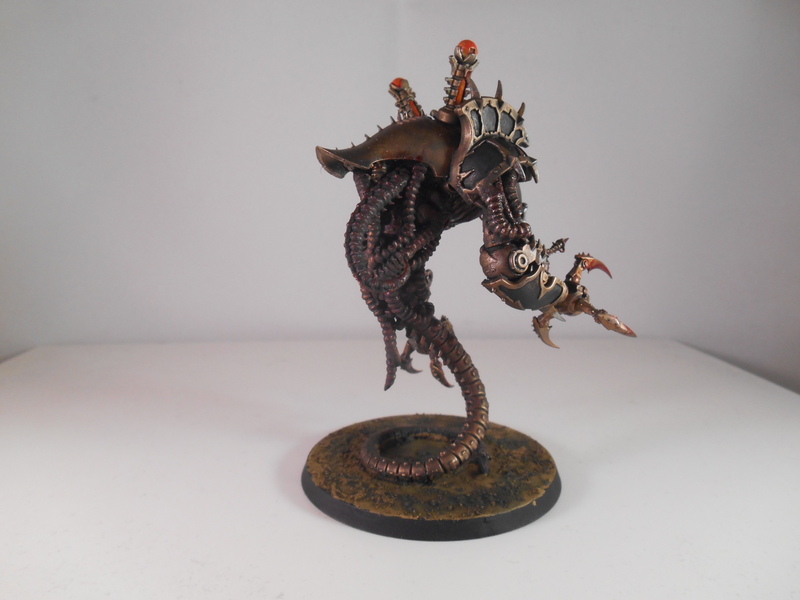 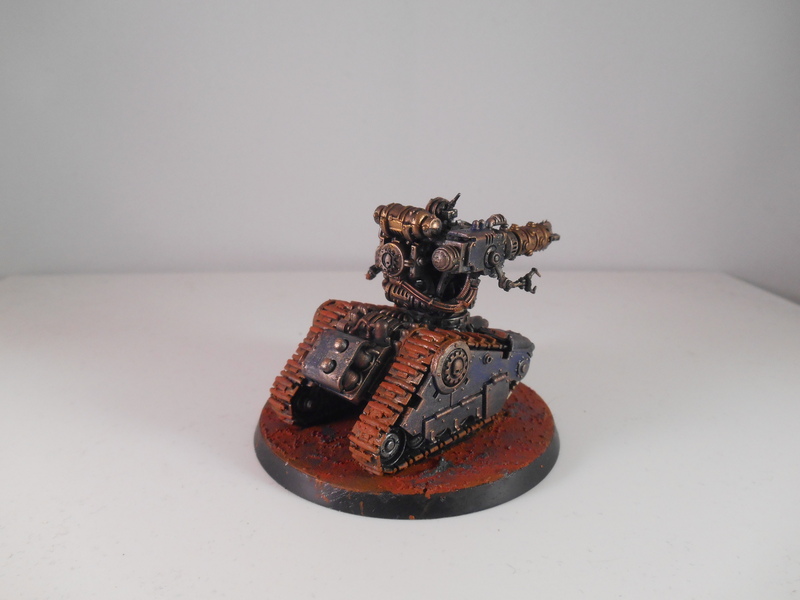 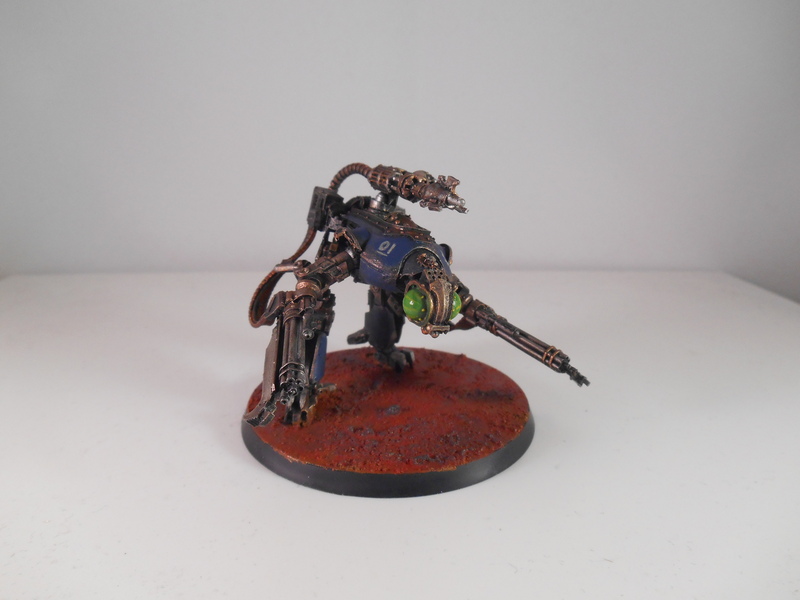 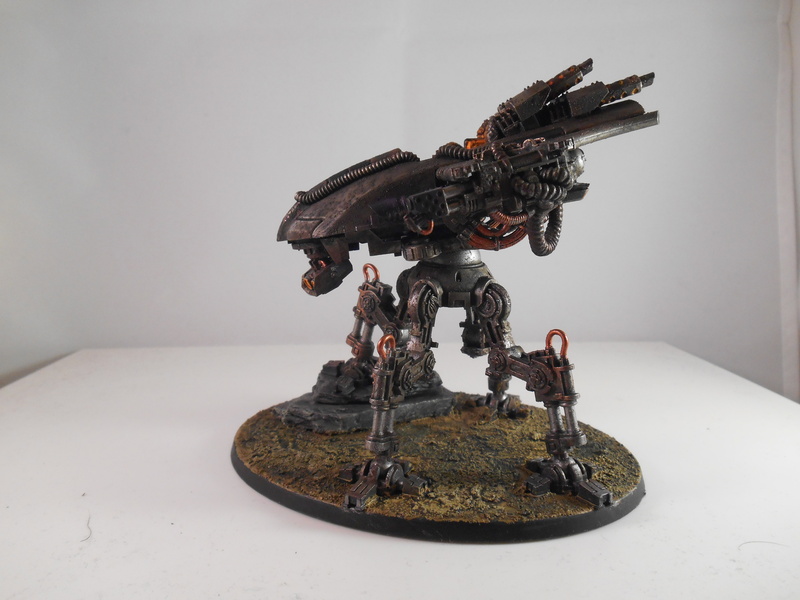 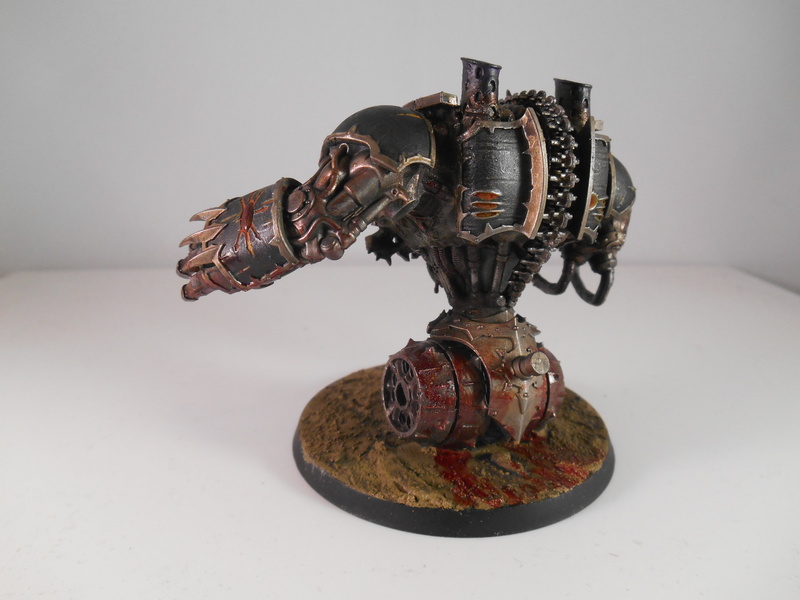 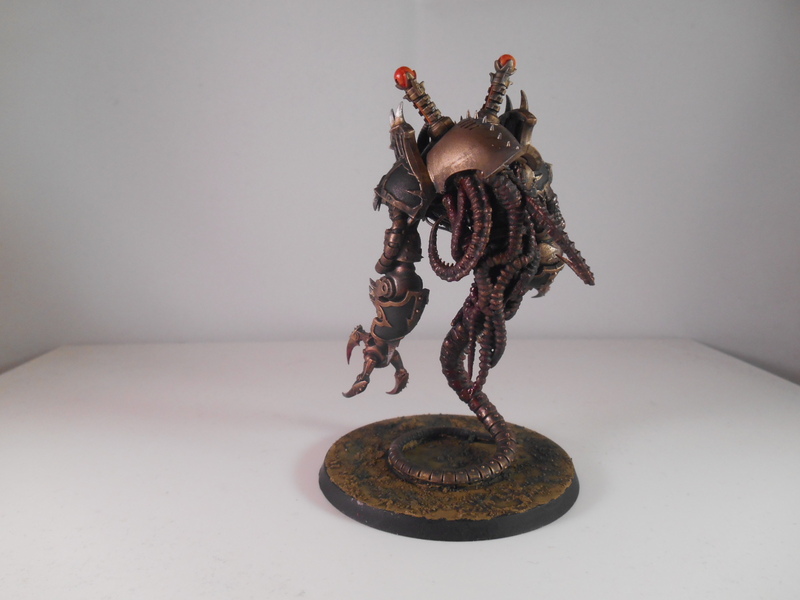 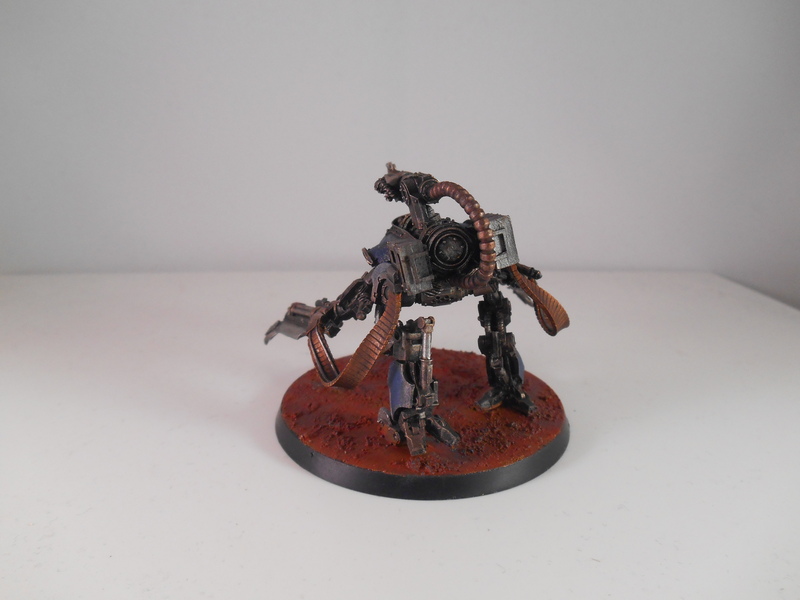 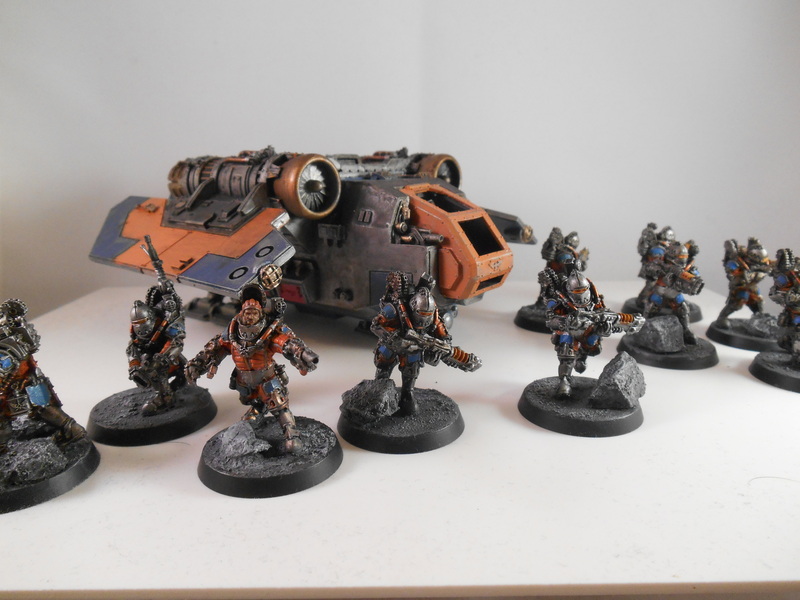 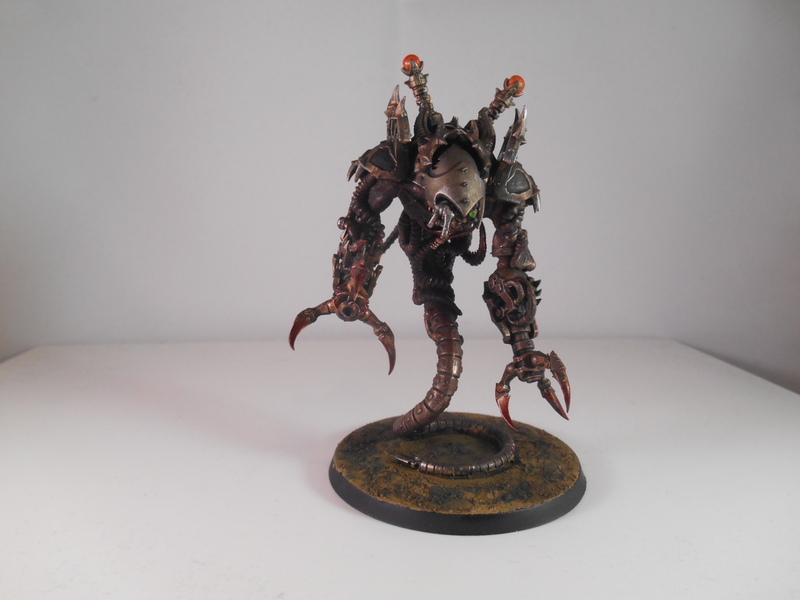 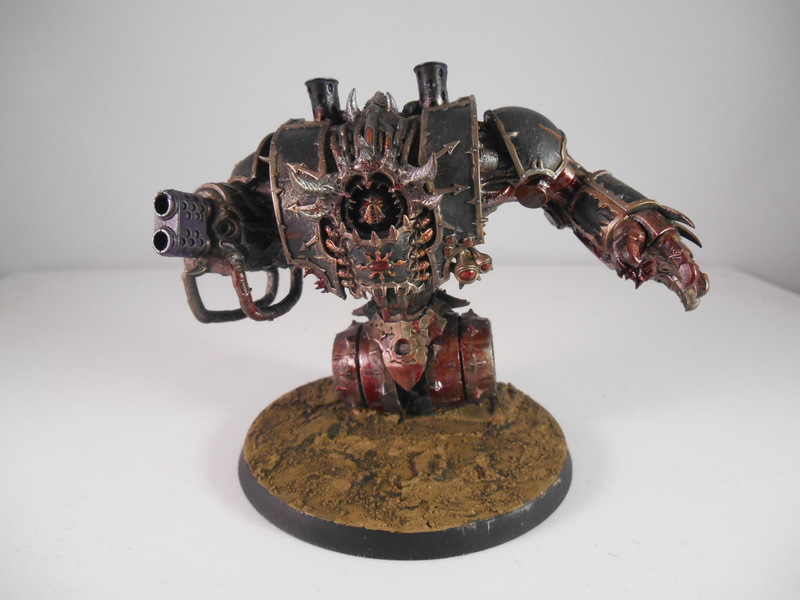 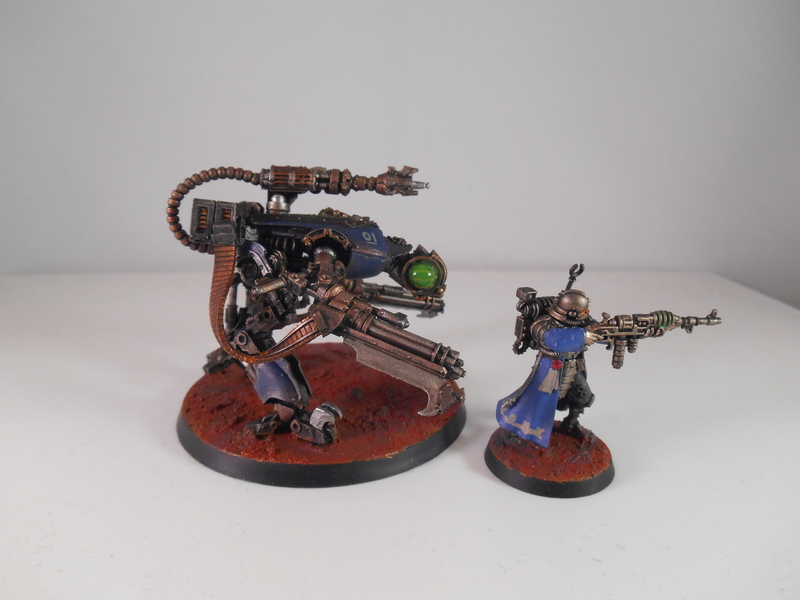 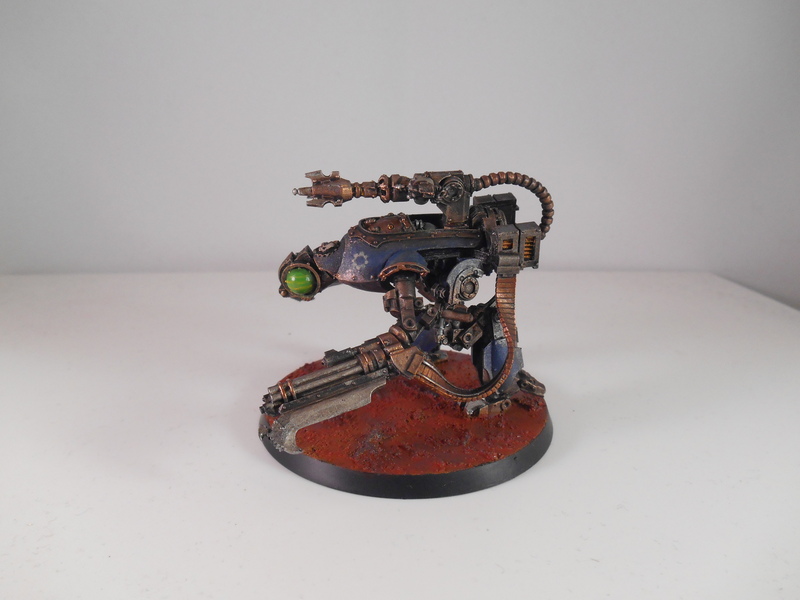 This entry was posted in Conversions, Mechanicum, Skitarii, Warhammer and tagged 40k, Admech, Conversion, Dark Mechanicum, Dunecrawler, Mechanicum, Skitarii, Warhammer on May 7, 2015 by ruadhan2300.